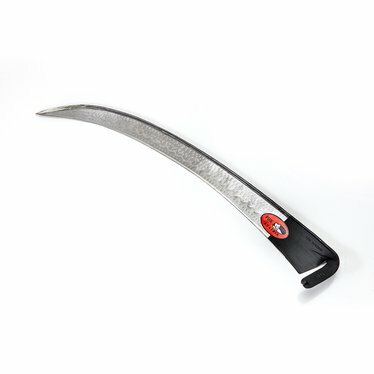 With unique curved point - an old feature of scythe design (one more difficult to make and therefore less common these days) - makes the blade easier to pull, especially through dense growth. The result of Peter Vido's cooperative project with the Schroekenfux scythe factory in Austria, it has been declared the "Profi" of contemporary scythe blade design. The edge was well prepared in the factory, and is more 'ready-to-use' than has become the claimed norm within the last three decades. 31-1/2" or 80cm.